Though a difficult topic to discuss, it is an important point of discussion nonetheless for so many families. Living with a pet for many years is so fulfilling! 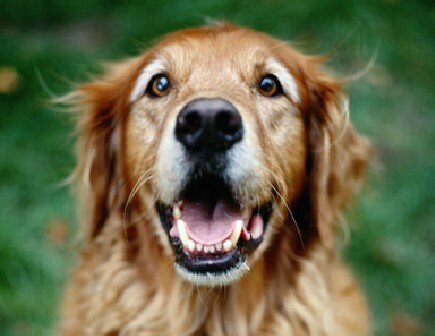 Geriatric pets especially can be a blessing, being calmer than kittens or puppies, and less likely to chew on our shoes! Napping with a purring cat on your chest is one of the most soothing sounds. Playing fetch with a playful dog will fuel your happiness like a hug from a family member. Determining when our pets are close to the end of their life is a very difficult thing to evaluate, especially as the pet owner. How do we decide when it is time for our loving pet members, when quality of life has declined to the point where euthanasia is the recommended option? It can’t be stated enough, this is the most difficult decision a pet owner ever has to make, since it concerns another animal’s life. Eating and drinking are arguably the most important parameters for life. Nutrition and fluid help organs function properly, lack of these items lead to discomfort, pain, and death. Unless your pet went from having a ravenous appetite to no appetite at all, this sign can be confusing for some owners. Animals who have been picky eaters through their whole life can be more difficult to evaluate. If a pet has gone 48 hours without eating or 24 hours without drinking needs to be seen by a veterinarian as soon as possible. Really, any change in your pets normal eating and drinking habits should be further investigated by a veterinarian. Are they able to go to the bathroom normally? The way we rid toxins from the body is via urine and feces. If either of these important functions cease, severe issues will follow as the toxins accumulate. In households with multiple cats or dogs, these functions can be difficult to monitor. If one animal is more concerning than another, house them separately. Keep the dog or cat in one room apart from the others with litterbox (for cats), water and food available. Keeping a diligent eye will help you to know if an issue is present. No urination in 24 hours is a major medical issue, bowel movements depend a bit more on their regular habits. If your animal typically has a bowel movement daily, having none after 48-72 hours would be very concerning. If they typically have twice daily bowel movements, it would be more concerning to have no bowel movement after 36-48 hours. We also need to take into account the amount of food they are currently eating: the less food intake, the less bowel movements. Do they still want to socialize well with family members? Are they interacting well with other family members, no aggression issues? Most animals are stoic and will not show us any abnormalities such as pain or discomfort. An animal who does not wish to socialize with its family is a major concern, possibly hiding a severe underlying issue. Animals who are in pain may react aggressively towards their family members, out of fear that being touched will cause the issue to worsen. If there has been a personality change, your animal should be brought into the clinic as soon as possible. For example, we once had a dog be brought in for severe aggression, only to learn it was in congestive heart failure. After treatment was started, his demeanor went back to normal. When his condition worsened, he became aggressive once again. Are they able to walk well, without assistance? Ability to walk to the bathroom, food or water is absolutely necessary. Any change in ability to ambulate should be seen by a veterinarian. There are different options to help patients move with greater ease: joint supplements, food, medication, or walking aids, for example. We can help you determine the best options for your pet. Laboured breathing can mean a few different underlying conditions. Heart and lung conditions can worsen very quickly, or can be slow to change over time. If while your pet is sleeping, if their respiratory rate is greater than 30 breaths in a minute, it is time to be seen by a veterinarian. Do they still want to play? Social interaction is food for the soul. If your pet has always been one to want to throw a ball around, or chase a toy, and they stop this behaviour, there can be something major going on. Are they showing anxiety or agitation? Anxiety and agitation can take many forms: aggression, seeking alone time, objecting to a change in routine, reacting over-exuberantly to a situation, etc. While behavioural changes can be subtle, they can give us hints to look into issues further. Anxiety and agitation are more common as animal’s age. With any animal, the decision to euthanize is difficult. We keep all of these above parameters in mind in order to make a choice which is acceptable for the patient and ourselves. If you ever have questions about your own pet, remember to give us a call. We can help you through these situations, trying to let you know if and when the time is right for your pet to cross the rainbow bridge. Life is about quality- how enjoyable it can be, not quantity- the amount of time we have. When we get an animal, we need to remember the promise that we have made to them, to love them for life, and give them comfort at the end.